In the United States, the Born Alive Infant Protection Act requires abortionists and staff to give medical care to a child accidentally born alive during an abortion. However, Live Action has discovered through undercover investigations that many abortionists ignore this law. Babies are also born alive after abortions in Europe. 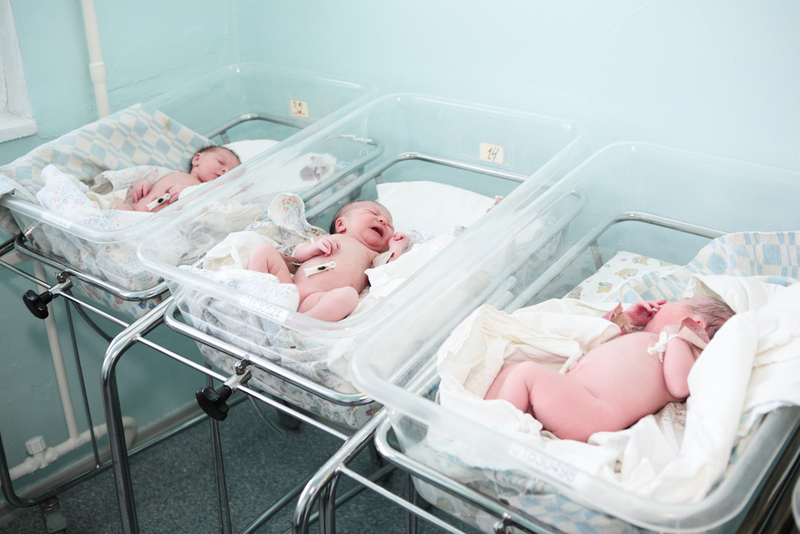 The ACLJ, which is promoting legislation to protect these infants, has compiled testimonies from nurses and midwives. The child was born alive, and to prevent it from crying, the doctor quickly covered his face. He was then taken into a side room…. I was able to find that there was no apparent defect, he struggled to breathe and he had some slight gestures. He was fully formed, had eyelashes, hair, nails … …The doctor came in and asked me if he was still breathing, or else we would make an injection for that “to be resolved.” Five minutes later he came back and grabbed a syringe. … He then pierced the baby in the heart, …The child, during the injection, moved all its members. I do not know what that meant, but perhaps he suffered. The little boy lived just a quarter of an hour. The medical team told the parents of the child that he was stillborn. This is why we did not want him to cry at birth: it would be too traumatic for them. What shocked me personally, is the cold-blooded doctor (head of department) that had injected the child in the heart. The fact that the child was alive was a problem that needed to be addressed: it has never been contemplated to tell the parents what really happened. I again see this young woman [the nurse] gaze into space, saying: “It is true that sometimes there’s a little murder among friends” … She then tells me a case where the baby had time to scream before being hastily brought into the next room. These cases are not uncommon, and are dramatic because the mother hears her child, and the moment she realizes that he is alive, the child is being killed… what made her uncomfortable is that three doctors (an anesthesiologist, an obstetrician and a pediatrician) took an hour to kill a newborn. Because as it was alive, the child struggled vigorously and they could not give him the lethal injection. I want to testify to infanticide, not that we have actually killed a newborn of 28 weeks but worse: we have not had humanity come to his aid. … The young mother was an HIV positive drug addict who discovered her pregnancy late. Gynecologists convinced her to abort but the baby was born alive. Midwives simply put it in an empty box, naked in a stainless steel tub, cold, without any care. His mother was conscious during labor and delivery of the baby; she was crying and wanted to see her little one but the doctors decided that this child should die. They did not give the child to the mother to spare her. This baby was viable, he was breathing on his own and cried vigorously. I honestly think it was just left to die of cold …. Why do they fight to save some premature babies while others are given death without humanity? She was nervous and uncomfortable… The midwife told me how quickly the gynecologist had ended the life of the child in the womb, making an ultrasound location and injecting the product to make the child’s heart stop beating. Then the vaginal delivery was induced. By the time the child came out, the midwife was alone. When the child was completely out, he cried; he was alive. The midwife told how she was seized and choked the child’s cries with her hand and hurried out so the parents would not hear their child…..after several maneuvers, they killed the child. Her child was taken immediately into the neonatal resuscitation room. It was a difficult resuscitation; pediatricians soon arrived to help …After a long resuscitation, the child was stabilized and he went to the neonatal intensive care unit. I realized then that this child we had to resuscitate was the same age as the other child, a few hours before, who had not had the right to live. I have horrible memories from my time at the gynecology ward where I participated in late term abortions, most around week 16 where the fetus struggled and tried to breathe for 5-15 minutes. Because there are no rules or regulations on what one should do with a fetus that is struggling for life, you leave the fetus to die by itself in a round bowl or a basin. … this is not an unusual event. Approximately 25% in week 16-17 live for a certain time. A little girl was born alive on 1st March 2014 at 7:55 pm. The midwives were not allowed to contact the paediatrician on call. Therefore, the child was given no medication, no pain relief although she had been pulled out by vacuum extraction. A midwife swept the baby into warm towels and waited until she had died, nearly half-an-hour later. Several more testimonies can be found here, in the full report by the European Centre for Law and Justice.